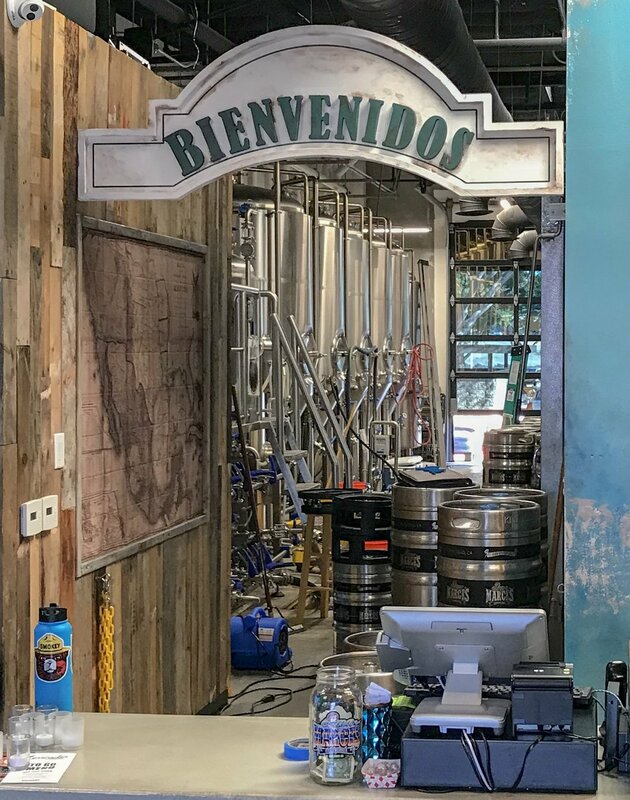 Papa Marce's Cerveceria opened in summer 2018 in the Carlsbad "brewery ignitor", next door to Rouleur Brewing, in the spot formerly (though briefly) occupied by Wiseguy Brewing. It is not far from Guadalupe, Arcana, Burgeon, and Culver. One of the nice things about the brewery ignitor concept is that brewers come into a space that is already essentially set up for brewing. They personalize their tasting room, brew some beer and then they are ready to go. Monthly rents are higher, but there are no up-front equipment costs to bear. It’s a compromise that works for some situations. 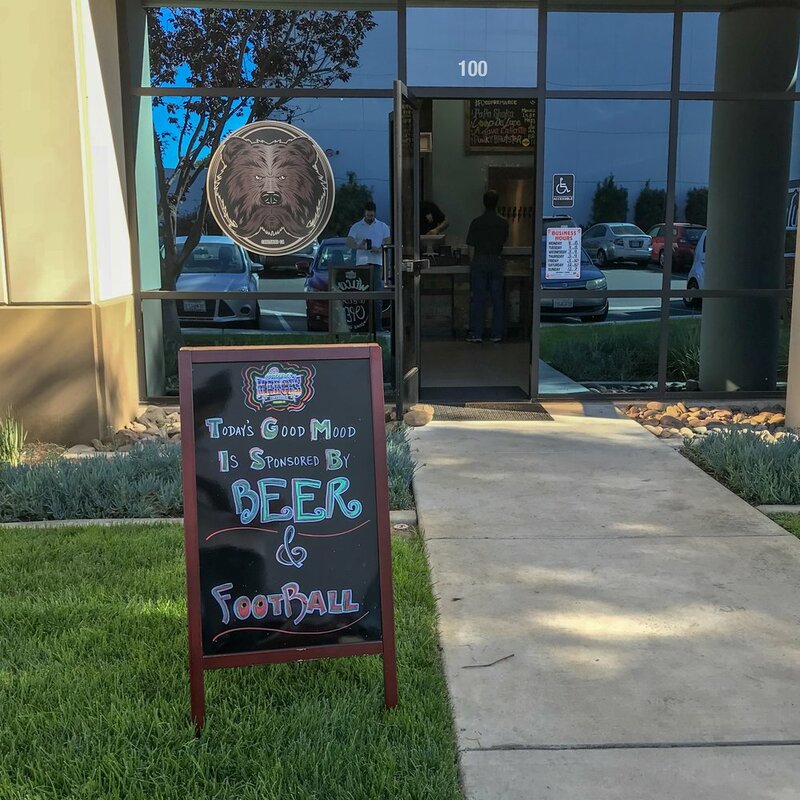 During my visit, Papa Marce's was pouring an impressive number of beers (thirteen) across a wide variety of styles (from lager to IPAs to porter to sours); even more impressive for a new brewery, the quality was high across everything I tried. (And everything my neighbors at the bar had, too.) Papa Shaka (Mexican Lager, 5% ABV) was a very good example of the style, and is something of a flagship beer. Punky Brutster (Brut IPA, 6.9% ABV), a collaboration with Chula Vista's 3 Punk Ales, was one of my first ever in this new style and I thought it was great. The Big Red Sour (9.9% ABV) was moderately sour and very drinkable. My favorite was Porter She Wrote (5.4% ABV), an excellent example of the style--if I were a regular, this would be my usual order. The tasting room is comfortable, with a few seats at the bar and a few high tables. A large group would have to stand. The interior design is well done and feels like it has been "lived in" for a lot more than a month, which adds to the comfort. Service was excellent. In addition to a very knowledgeable bartender, those of us sitting at the bar had the opportunity to chat with the brewer and another owner, who went on to make the rounds of the room to check in with patrons--a classy move. I expect we will be hearing a lot more about Papa Marce's in the coming years.